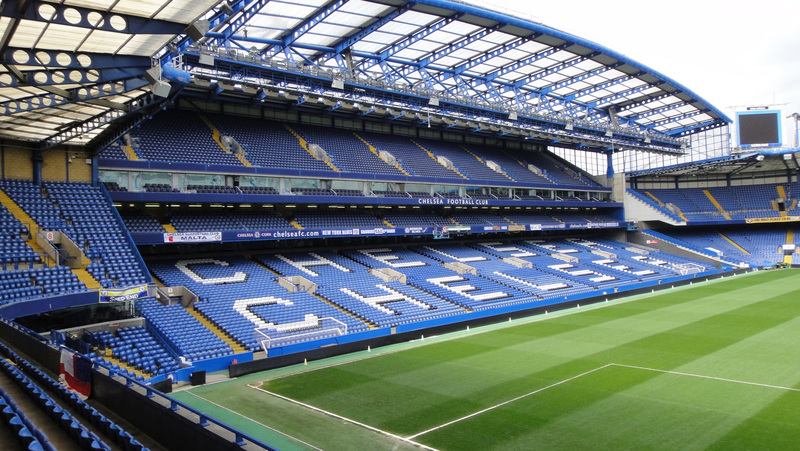 After spending a successful season at Chelsea FC’s Cobham training ground carrying out concrete repairs, we were finally promoted to the Premier League to carry out a variety of projects at their Stamford Bridge Ground. As part of the refurbishment of the South Stand, new openings were cut through the concrete walls to give improved access to the stand. Making good to the areas was carried out with structural steelwork and hand-applied mortars. During the 2005 closed season corporate hospitality facilities in the East Stand were upgraded. We carried out rescreeding for the full width of the stand using site batched mixes incorporating admixtures to facilitate new seating in these areas. The following closed season further improvement works were carried out at the ground. This in turn resulted in the negotiation of further works to both East and South Stands. Firstly new flights of concrete steps were cast for the full height of the South Stand as stewards seating was modified. Dowel bars were drilled and resin anchored to the existing terracing followed by casting with prebagged concrete that was mixed adjacent to the pitch and carried up the terracing. The Home Team dug-out was also upgraded in the same period. Improved sighting of the pitch for both manager and substitutes was achieved by cutting walls and making good with hand applied mortars. In addition, the floor was raised by removal of the existing floor covering followed by recasting of the slab with prebagged concrete laid to falls. Once the season was underway it was commented upon by Sky TV that whilst the Home dug-out was a vast improvement, the Away team still had to make do. 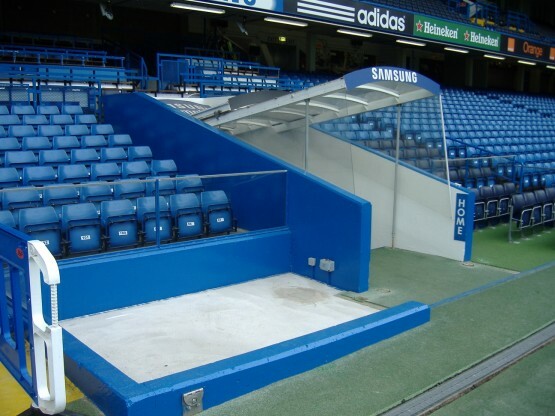 Within a week we were back and the Away dug-out was given the same treatment.